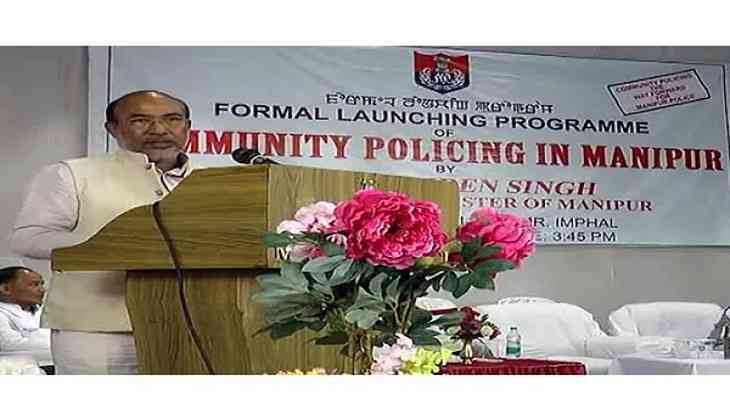 The Manipur Government launched an initiative called 'community policing', to promote public safety and maintain law and order to safeguard the welfare of the society. Manipur Chief Minister N. Biren Singh said that police is the mirror of the government. "When the police does good job, it shapes the image of the government because, the government serves the society", Singh said. Singh urged the police department to take a pro-active role in maintaining law and order across the state. Community policing, also known as 'Democracy in Action' would help raise the morale of both, 'law makers' and the citizens. Aribam Chaoba, a resident of the state said, the initiative would be effective, provided it is translated into action. "I believe this community policing is a good system provided it can be translated in to action. It's for the first time that we have seen people and the police opening up for the complaints like on the 15th of every month", he said.